On any given day, you’re bound to encounter all sorts of characters at an airport. On this particular day, it seems that all the drama is happening in the V.I.P. lounge of Heathrow Airport. Movie director Max Buda (Orson Welles) is there with aspiring actress Gloria Gritti (Elsa Martinelli), trying to get out of the country so that he won’t have to pay a massive tax bill. Frances Andros (Elizabeth Taylor) is about to leave her mogul husband Paul (Richard Burton) and run off to New York with her boyfriend, Marc Champselle (Louis Jourdan). Then there’s Les Mangrum (Rod Taylor), who desperately needs to get to New York so that he can get a loan to save his tractor company. He’s accompanied by Miss Mead (Maggie Smith), his loyal secretary who is secretly in love with him. And last, but not least, there’s The Duchess of Brighton (Margaret Rutherford). She’s fallen on hard times and in order to afford to keep her family’s estate, she has to go to Florida to take a job. All of these personal dramas become even more tumultuous when all flights out of Heathrow are delayed by fog. At first, they expect to only be delayed an hour, but it soon becomes clear that they won’t be able to fly out until the next morning and they are all put up in a hotel for the night. By then, Paul has found out about Frances’ plan to leave him and shows up to put a stop to it. Les makes a few last-ditch attempts to get the money he needs, and just when he thinks he’s ruined, Miss Mead saves him in just the nick of time. Max finds a way out of his tax woes, but not a particularly desirable one. Even the Duchess is able to find a way to keep her family home. 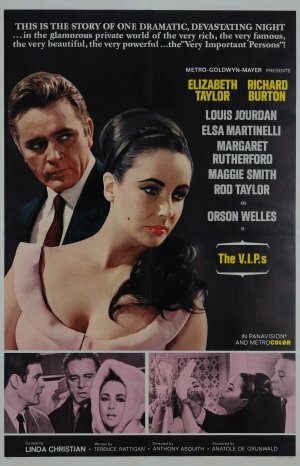 The V.I.P.s may be regarded as one of Elizabeth Taylor’s lesser movies, but I actually enjoyed it. It’s a guilty pleasure of mine. If you go into it hoping for straight drama, look elsewhere because it doesn’t really work on that level. However, if you’re in the mood for something campy, then you might have some fun with The V.I.P.s. Essentially, it’s Grand Hotel, but set in an airport and campier. The writing isn’t particularly good, but it was over the top enough to be fun. Elizabeth Taylor seemed kinda bored most of the time, apparently she only took the role so she wouldn’t have to worry about Richard Burton getting distracted by Sophia Loren. But boy, does she ever look fabulous! Richard Burton hams it up big time and Orson Welles’ accent is pretty ridiculous. And Margaret Rutherford’s boozy, pill-popping Duchess of Brighton is just a hoot. But I think the most hilarious part of this movie is the hotel the airline puts these people in. If that were the hotel you really got to stay at when your flight gets delayed, travel delays wouldn’t be quite so bad. But we all know in reality, you’re really going to the nearest Best Western, not a swanky, stylish place like that. Also, if you’re into 1960s fashions, this is worth checking out if only for the eye candy factor because it is a very stylish movie. Posted in 1960s, Dramas and tagged Elizabeth Taylor, Elsa Martinelli, Louis Jourdan, Maggie Smith, Margaret Rutherford, Orson Welles, Richard Burton, Rod Taylor on January 4, 2012 by Angela. There’s a handful of movies that I avoid writing about on here just because I feel like I don’t have anything particularly special to say about them. 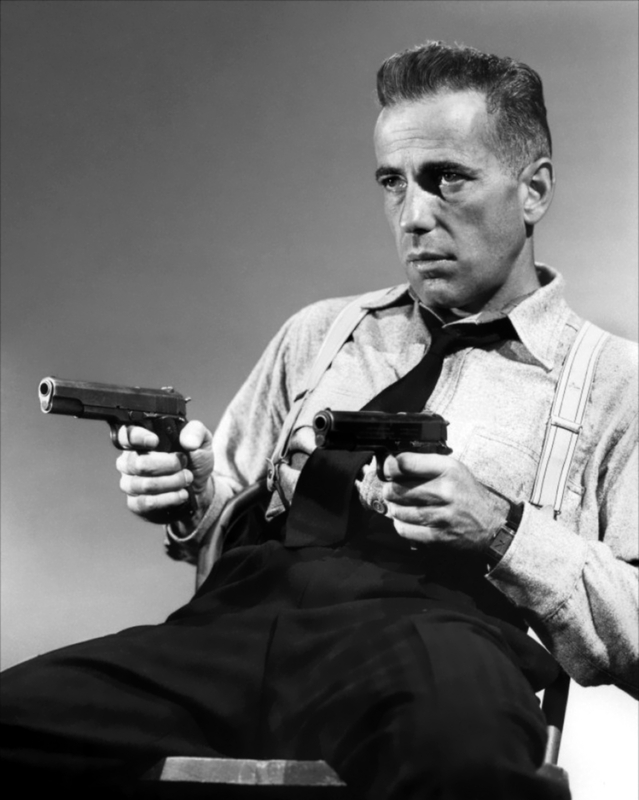 Casablanca, Gone With the Wind, and Citizen Kane are all on that list. But when the ladies over at True Classics decided to host a blogging debate about whether or not Citizen Kane deserves the title of “Best Movie Ever,” I thought it would be a good time to break my unwritten rule. For a movie that is so widely considered the crowning achievement of American film, it can be fiercely divisive among movie fans. In one camp are the people who agree that it is the best movie ever made and in the other are the ones who think it’s totally overrated. I don’t think I fully belong in either camp. Do I think Citizen Kane is the best movie ever made? Long answer short, yes and no. After World War II, Mr. Wilson (Edward G. Robinson) is hard at work rounding up Nazi war criminals and seeing that they are punished. One Nazi in particular who has evaded his reach is Franz Kindler (Orson Welles). In hopes of finding Kindler, Wilson releases Kindler’s old friend Konrad Meinike thinking that Meinike will go to see Kindler, wherever he is. Sure enough, he does and Wilson follows him to Harper, Connecticut where Kindler has assumed the identity of Professor Charles Rankin and is engaged to Mary Longstreet (Loretta Young), the daughter of a Supreme Court justice. In fact, Meinike and Wilson arrive in Harper on the day Mary and Charles are set to be married. Meinike knows he’s being followed and evades Wilson long enough to find Charles, but obviously, this is not a happy reunion. Meinike has seen the error of his ways and tries to convince Charles to turn himself in, but Charles isn’t about to give up his new life so easily. He strangles Meinike and buries the body in the woods before going on with the wedding. But what Charles doesn’t realize is that Meinike had talked to Mary about where to find him. Over the next few days, Wilson does some investigating and concludes that Charles is really Kindler. He even recruits Mary’s brother Noah (Richard Long) to help him nab Charles. But the only person who can definitely tie Charles to Meinike is Mary. Meanwhile, there’s someone else posing a threat to Charles’ new identity — Mary’s dog. When Charles takes Mary’s dog for a walk in the woods, it starts digging at the area where Charles buried Meinike, so he poisons the dog. When Noah finds the dog dead, he and Wilson start investigating more and Meinike’s body is found. Charles really starts getting nervous when Wilson questions Mary about whether or not she’d seen Meinike. Charles tries to keep her quiet by concocting a story about how Meinike had been trying to blackmail him so he killed him to protect her. Mary desperately wants to believe her husband and protect him, but it gets harder when Wilson shows her horrifying footage from concentration camps and tells her about how her husband was responsible for all that suffering. Even then, Mary doesn’t want to believe this about her husband. But Wilson knows that Charles is very likely to try to kill Mary next and he’s right. At last, Mary is able to accept the awful truth about the man she married. There isn’t a single thing about The Stranger that I didn’t like. The cast was great all around. Loretta Young totally nailed the innocence and naivety her character needed. It’s got plenty of suspense, I didn’t think there was a dull moment in the movie. I know Orson Welles didn’t think very highly of this movie, largely because he wasn’t given as much creative control as he would have liked. But I think this is a case where limitations may have worked to the film’s advantage. 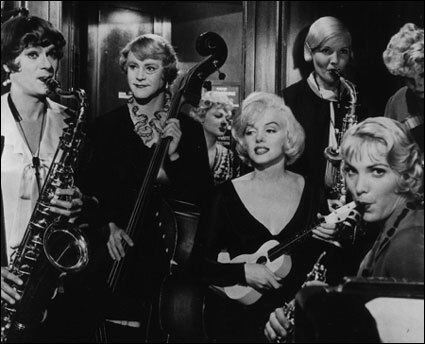 There were about 20-30 minutes worth of scenes that Welles had wanted in the film that were cut by the studio. Although I’d love for those lost scenes to surface someday, I thought the movie was just right in terms of length. 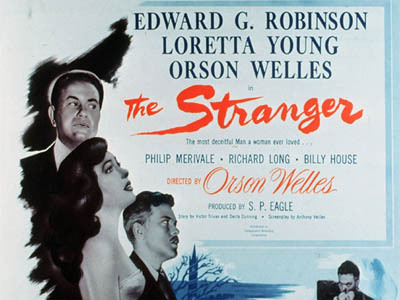 For how outstanding The Stranger is, it’s a somewhat underrated Orson Welles movie. It’s awfully hard not to be overshadowed by The Third Man, Citizen Kane, or The Lady From Shanghai and I wouldn’t put The Stranger on par with any of those, but that doesn’t mean it’s not a fantastic movie. Posted in TCM and tagged Ann Dvorak, Bette Davis, Carole Lombard, Cary Grant, Claudette Colbert, Debbie Reynolds, Humphrey Bogart, James Stewart, Jean Gabin, Joan Blondell, Joan Crawford, Linda Darnell, Lon Chaney Sr., Lucille Ball, Marlene Dietrich, Orson Welles on July 29, 2011 by Angela. May looks like it’s going to be all about Donna Reed, Native Americans, war movies, and birthday tributes. Donna Reed is the star of the month, but I guess she doesn’t excite me very much. Every year in May, TCM spends the month spotlighting how minorities have been portrayed on film over time. This year they are focusing on Native Americans every Tuesday and Thursday night. I’m always a little conflicted about this month because one thing I don’t have much patience for is really bad racial stereotypes, but at the same time, I’m interested in how those images have evolved over the years. In past years, they have gone in chronological order, starting with the silent era and working their way up to the modern day. This year is a little different and each night has a theme such as “non-Indians in Indian roles,” “Indians as noble savages,” and “Indians as actors and filmmakers.” Starting on May 28th and running through May 30th is the Memorial Day weekend movie marathon with nothing but war-related movies. With no further ado, let’s get to my picks for May. Posted in TCM and tagged Audrey Hepburn, Bette Davis, Billy Wilder, Cary Grant, Clint Eastwood, Donna Reed, Gary Cooper, Greta Garbo, James Stewart, Jean Harlow, Joan Crawford, John Wayne, Mary Astor, Orson Welles on April 29, 2010 by Angela.